« Boxes at the ready, get set, GO! Bring out the esplosions, its time for Curious Kitties! Science = Tiny bubbles of gas, called carbon dioxide, are trapped in the popping candy. When you put the candy in your mouth, saliva breaks it down and releases the carbon dioxide, which makes a popping sound. Vinegar is acidic and breaks down other molecules faster, causing a bigger reaction! didn’t turn out so bad! 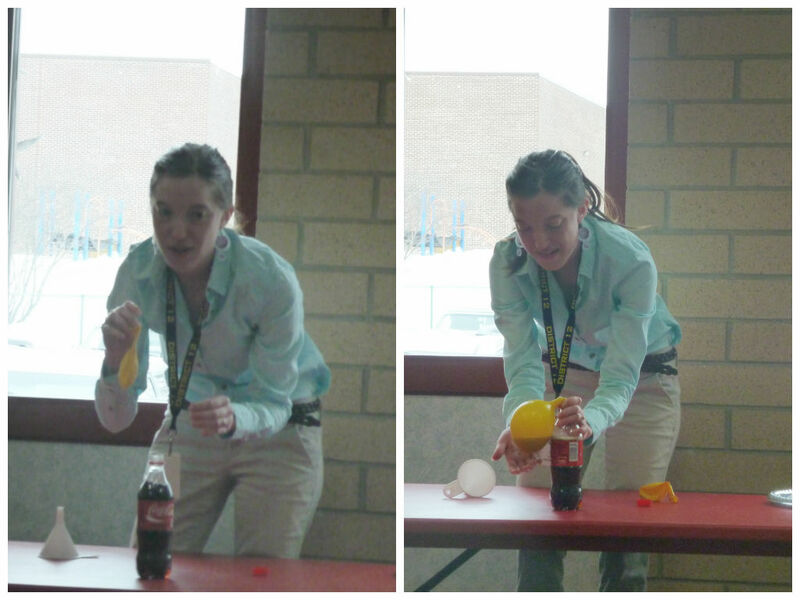 Before I put nerds inside the balloon, I used a controlled variable by putting nothing inside the balloon. I explained to the children that there was nothing in the balloon and I asked them to predict what happened next. One child said it would explode so I told the group that we were going to try his hypothesis. AND EVERYTHING ESPLODED! But, really, nothing happened. So then I used a funnel to place about 1/3 nerds inside the balloon. Pushing the balloon’s opening over the mouth of the bottle and holding it in place is sufficient enough, but test before you demonstrate! It worked! 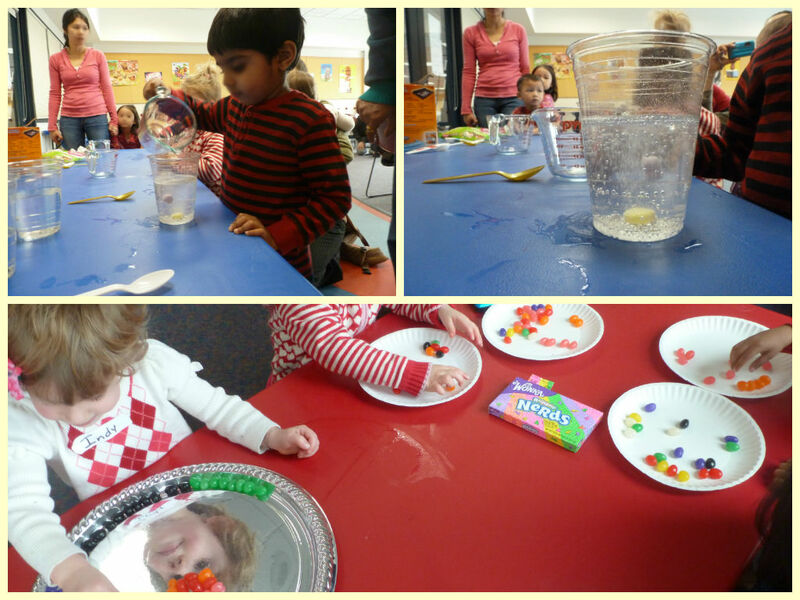 The children got giggly and the balloon filled with pop. WORD OF CAUTION: twist or pinch the balloon’s end before pulling it off otherwise it will explode a little before you stop it and a child might almost start crying. Cute patron aside: With a bottle of Coke in my hand, I asked the audience what I was holding. Many said soda/pop, but one 3-year-old girl said Diet Coke. Mom’s preference? 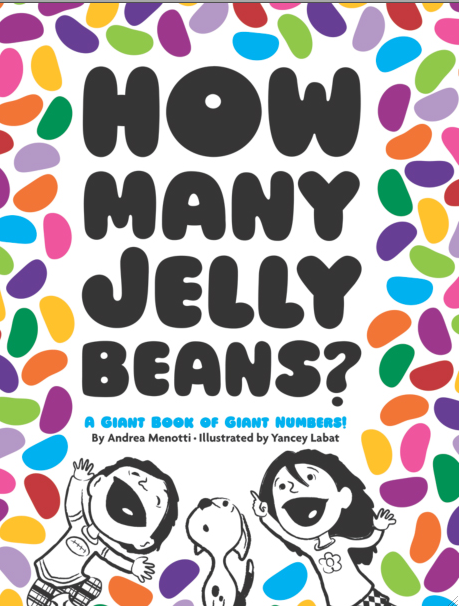 BOOK: How Many Jelly Beans by Andrea Menotti — Although the large number concept is too advanced for this age group, this book visually shows 1,000,000 jelly beans which definitely makes an impact on their perception of how big is big. Librarian note: Make sure you have a helper hold the book while you fold out the 1,000,000 spread! Librarian note: Pour vinegar into the water at a semi-slow rate. Too fast causes eruption and two slow causes a very small reaction. Provide coffee stirrers for children to tap the hearts that are stuck to the bottom. Librarian notes: Give each child their own Dixie water cup and put in the LEAST amount of water possible (about enough to cover the bottom). This craft is heavily reliant on using a small amount of water. A child’s love of eye droppers + difficulty with self-regulation + desire to do something over and over again once it is mastered = a goopy mess. 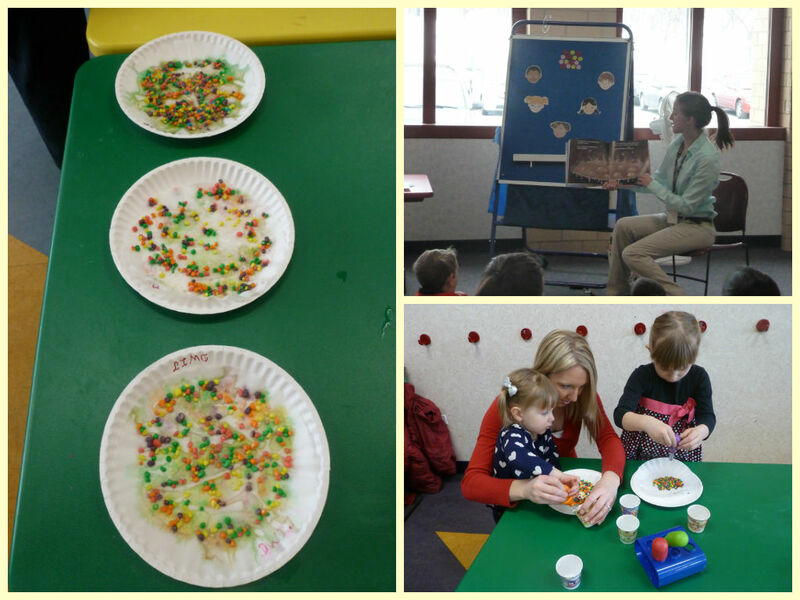 The final product is worthwhile, though, because parents can discuss how the water helped pull off and separate the color from the candy. Moral of the story: keep cups of water available for children to play with the eye droppers by themselves. I love these Curious Kitties posts! Thanks so much for sharing your awesome ideas!